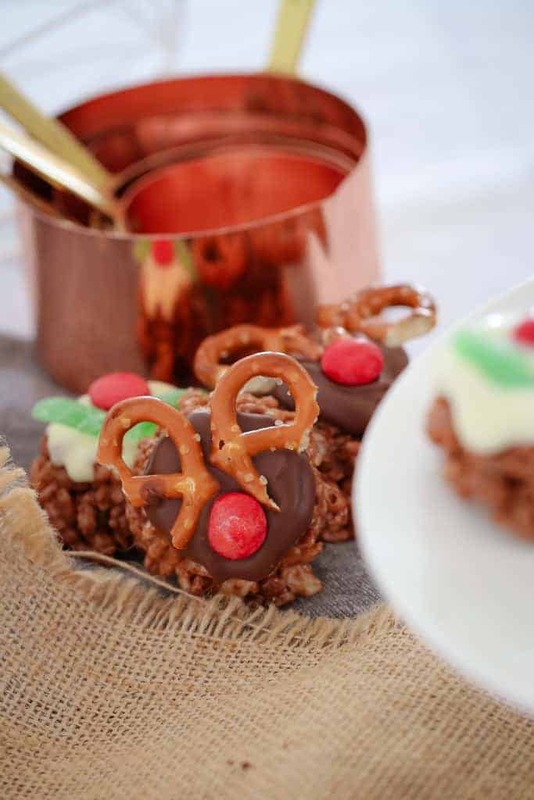 Say hello to the cutest little Mars Bar Chocolate Christmas Crackles… in two gorgeous variations! 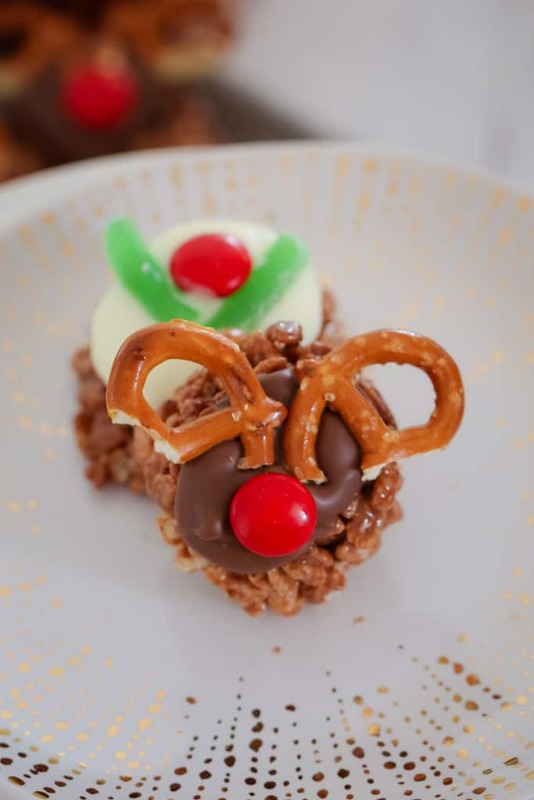 Yep, these little reindeers and Christmas puddings are sure to be a hit with the kids this Christmas. These are perfect for school or kinder Christmas parties, or as a fun little foodie gift for neighbours and friends. 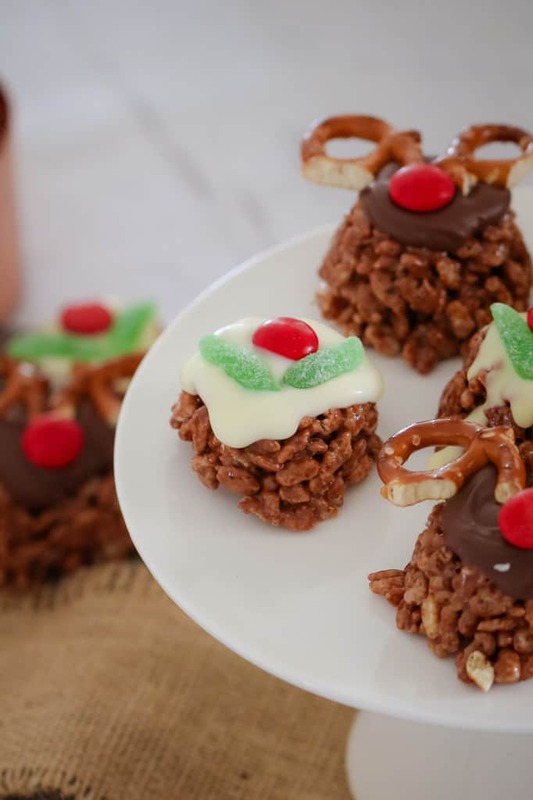 PLUS, they’re no-bake so the kids can help to make them! 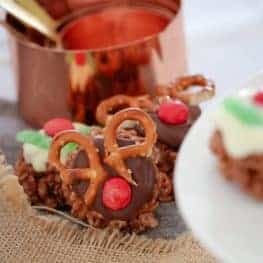 To make these Mars Bar Chocolate Christmas Crackles, you simply melt some chopped Mars Bars, cream and cocoa powder in the microwave on low heat. Pour the chocolate mixture over a bowl of rice bubbles and mix. Divide the mixture into mini-muffin tins, press down firmly and pop into the fridge to harden. 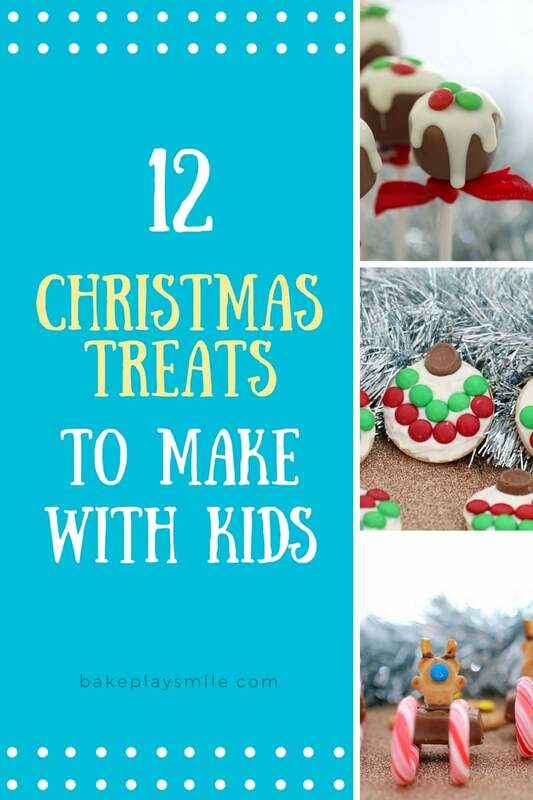 Once they’re ready, take them out of the tins and decorate! How simple is that! 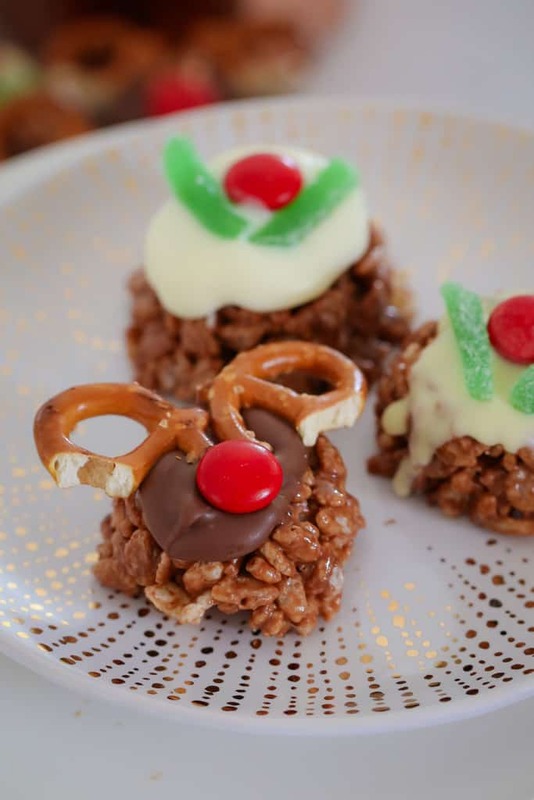 Oh and because we’re decorating with M&Ms, spearmint leaves and pretzels, it would be wrong not to eat a few of the decorations as you go. Totally wrong. Don’t even think about not nibbling as you decorate. Promise!? Place the chopped Mars Bars, cocoa powder and cream into a microwave safe bowl. Melt on 50% power in 30 second bursts until melted (stir each time). (If using a Thermomix, melt on 50 degrees, 2-3 minutes, Speed 2). Place the rice bubbles into a large bowl and pour over the melted Mars Bar mixture. Lightly spray 2 mini muffin baking trays with cooking oil. Place spoonfuls of the mixture into each hole and press down firmly. Place into the fridge for 10 minutes to set. Meanwhile, melt the white and milk chocolates in the microwave on 50% powder, 2-3 minutes (stirring every 30 seconds). If using a Thermomix, melt on 50 degrees, 3 minutes, Speed 2. 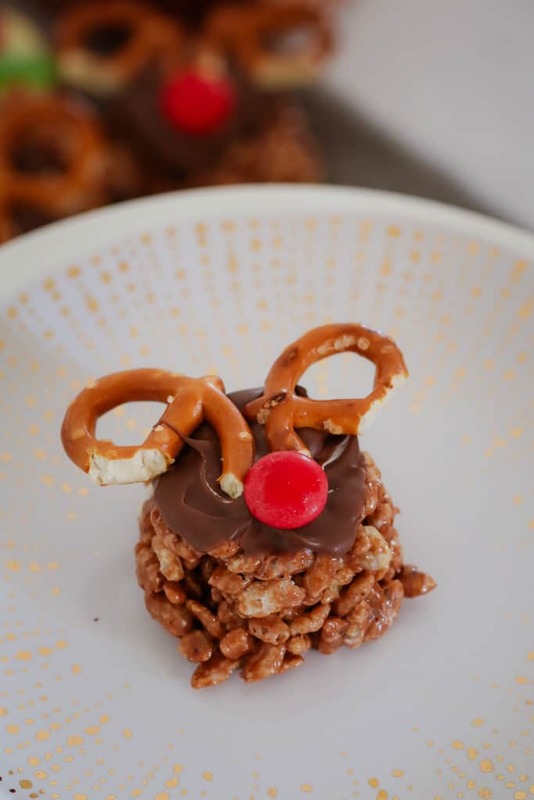 Remove the chocolate crackles from the tin and place onto a flat board. 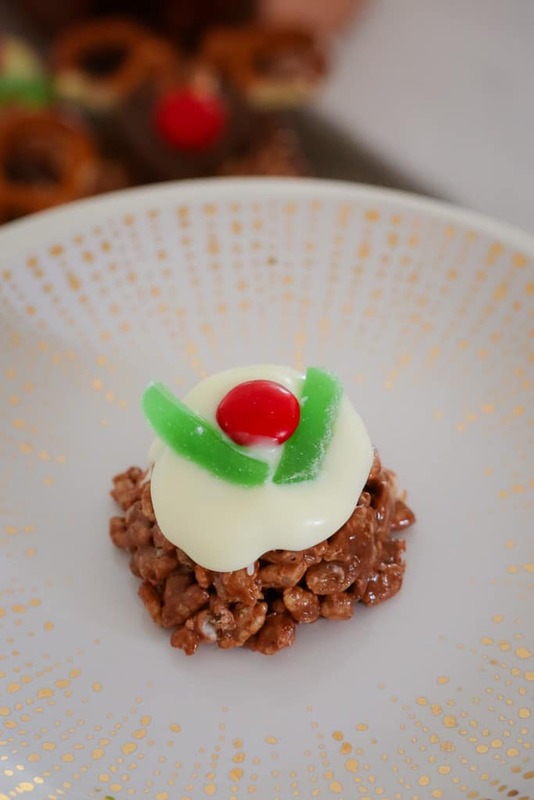 To make the Christmas puddings, spread a little white chocolate over the top of the puddings, add 2 slices of spearmint leaves and a red M&M. 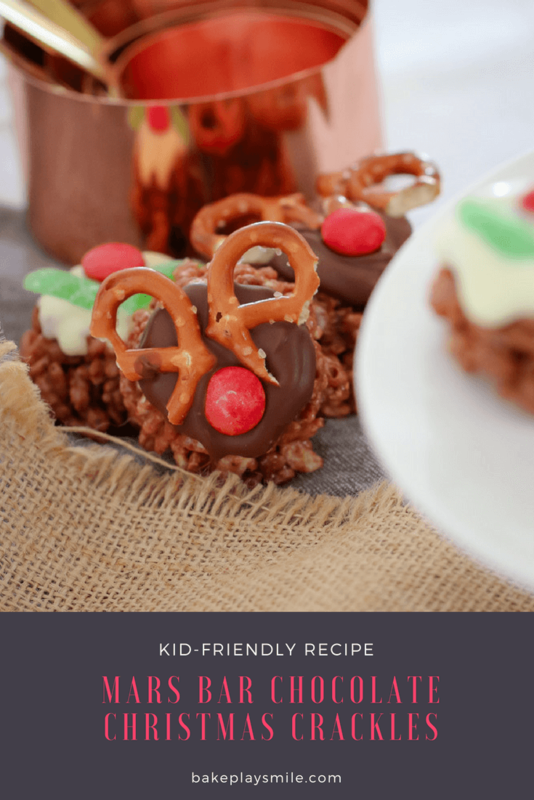 To make the reindeers, place 2 pieces of cut pretzels as antlers and a red M&M as a nose.